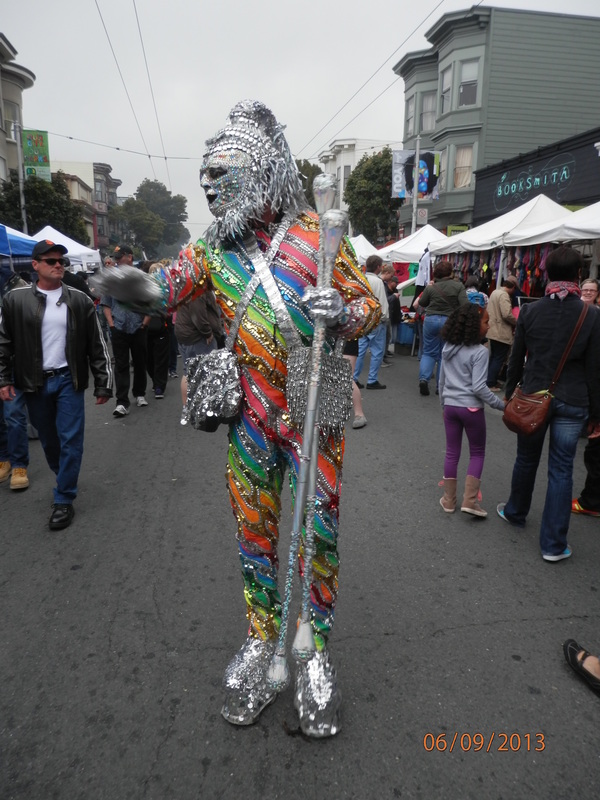 Nearly half a century after a procession along the same street proclaimed its demise, I can confirm that reports of the death of the hippie have been greatly exaggerated, at least if events at yesterday’s 36th annual Haight Ashbury Street Fair were anything to go by. 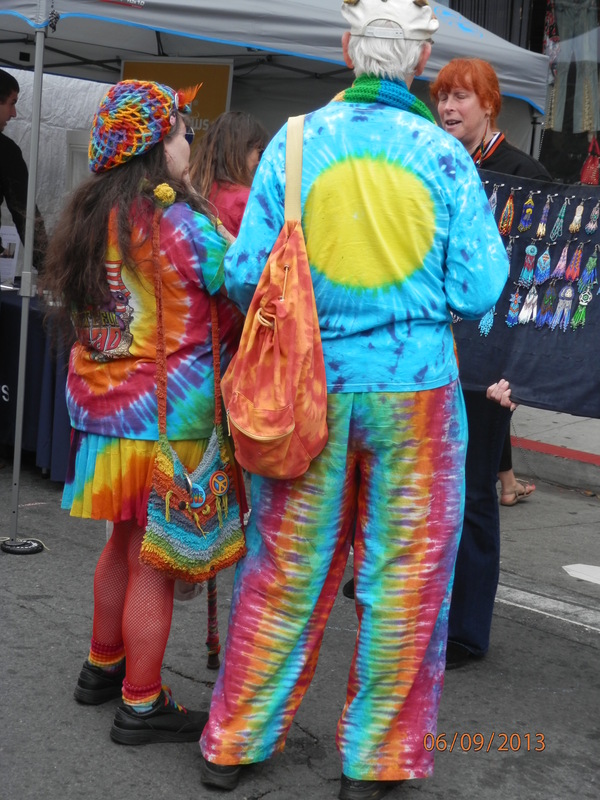 Baby boomers in tie-dye mingled contentedly with Mission families, young Goths and not a few bewildered tourists to create a relaxed, celebratory atmosphere along half a dozen blocks crammed with stalls selling the usual hippie fare – clothing, bags and jewelry, peace badges, organic juice and vegetarian burritos. 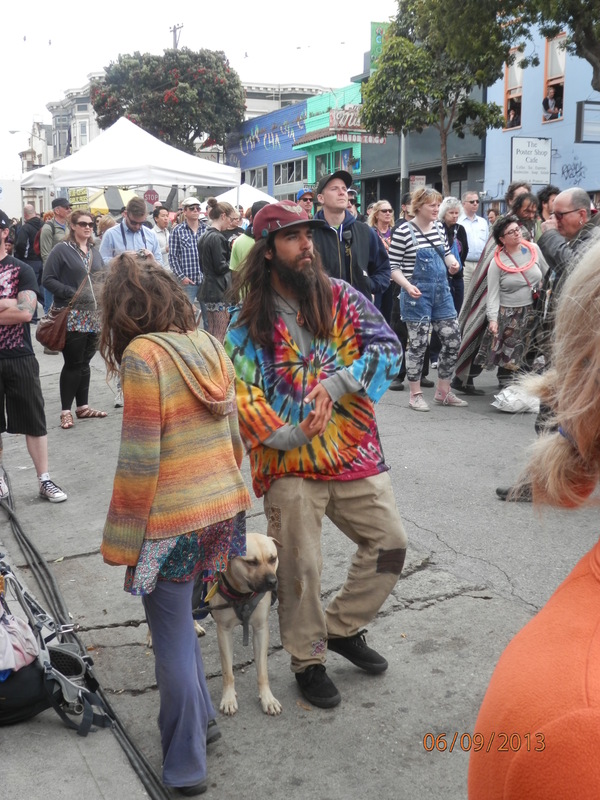 Music from every era since the Haight’s “heady” days of the sixties spilled out from retail and residential properties alike. 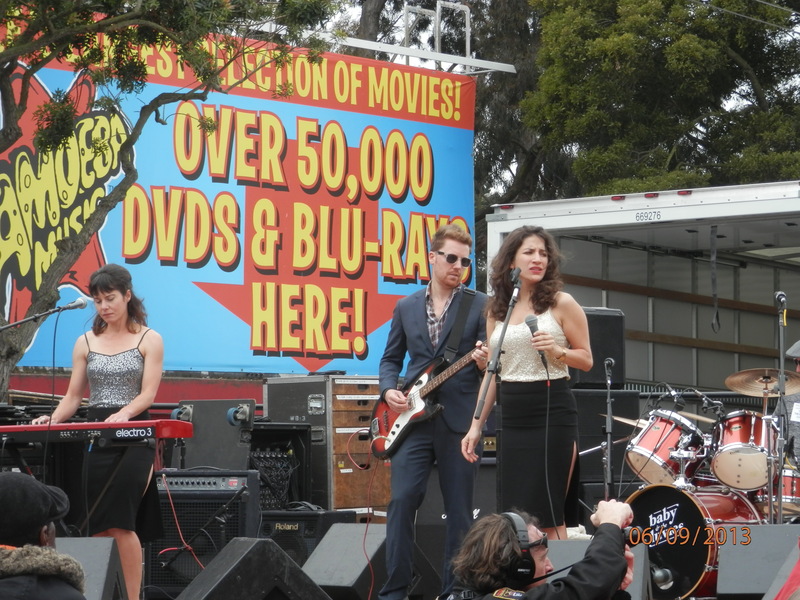 The street was closed to traffic from Masonic to Stanyan to make way for stages from which a succession of bands played throughout the afternoon. 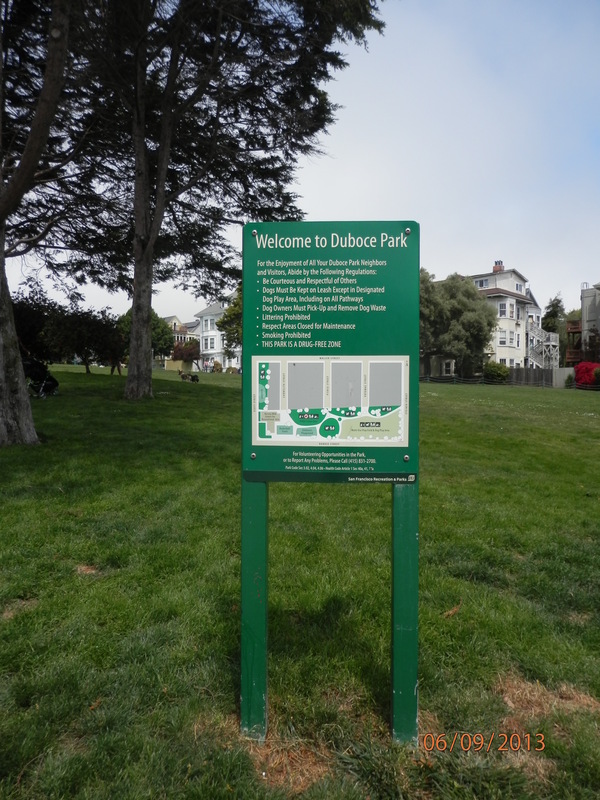 Our day had begun with a J Church MUNI ride to the intersection with Duboce, from where we cut through the doggie paradise that is Duboce Park before taking the short hike up from the Lower Haight. Fortified with ferocious coffees from the People’s Café adjacent to the Masonic stage, we ambled up and down the street for the next few hours, stopping at either end to enjoy the non-stop live music. Cannabis and BBQ fumes combined to assail the senses, though we managed to resist the giant Polish sausages, grilled chicken and corn that screamed “eat me” every few yards. We finally succumbed, however, to the deep fried Eastern European Jewish inspired potato and spinach knishs – classic, delicious street food. For refreshment, we escaped to the chilled haven that is Café Cole for apple and carrot and orange juices. And later in the afternoon we dove into Happy Donuts for a coffee and apple turnover – well, it was one of the few places where we could get a seat! I began this piece by declaring that the hippie was still alive and there was plenty of evidence on show that the fashion and values of its “Haightday”, endured. Credit for the wholly unthreatening atmosphere must go in part to the not inconsiderable but, nonetheless, unobtrusive police and festival security presence. 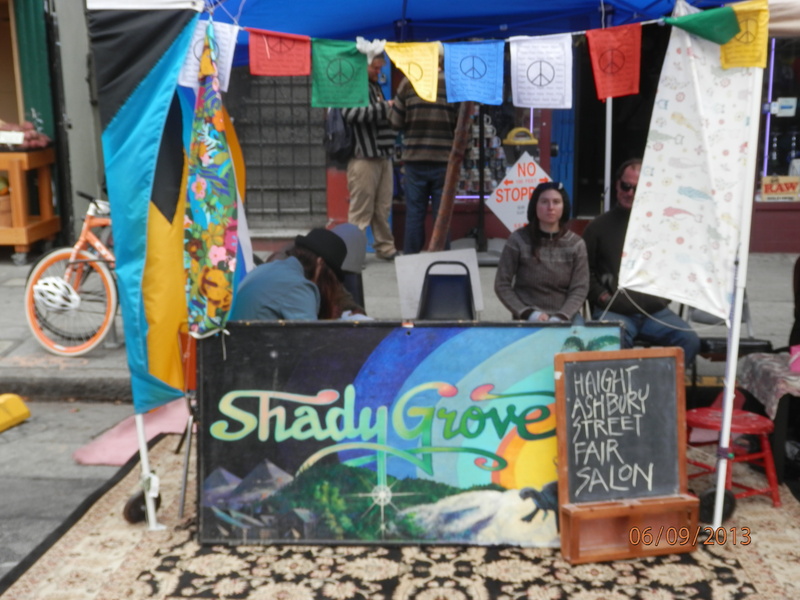 The SFPD even manned its own stall at which were sold baseball caps and other merchandise. The only occasion we observed them being called into action was when they calmly confiscated a bottle of beer masquerading as a brown paper bag. The absence of alcohol contributed to the lack of aggression. 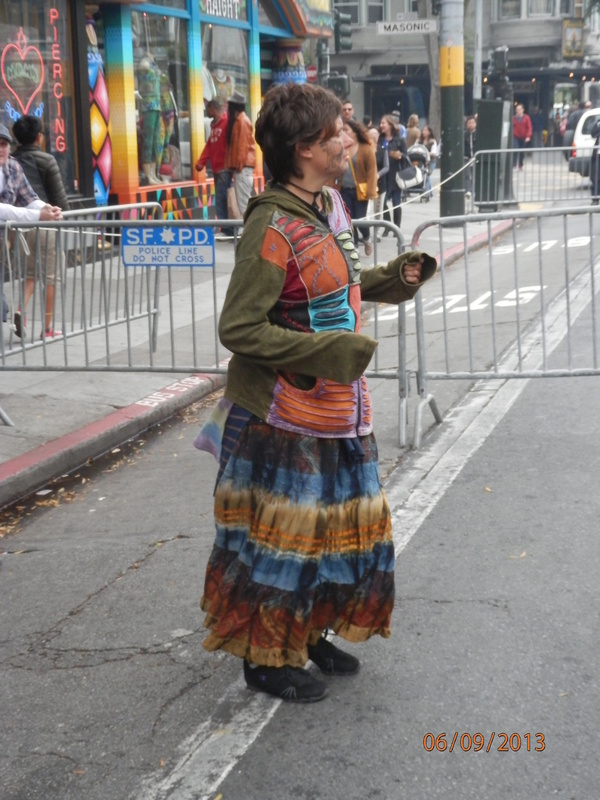 There were, inevitably, some characters under the influence of drugs – after all, this was probably, notwithstanding the security operation, the best day of the year for panhandling – but they posed no threat to others’ enjoyment. And yes, I was asked at one point whether I needed any “good dope or LSD”! The bands were uniformly excellent and enthusiastically received. 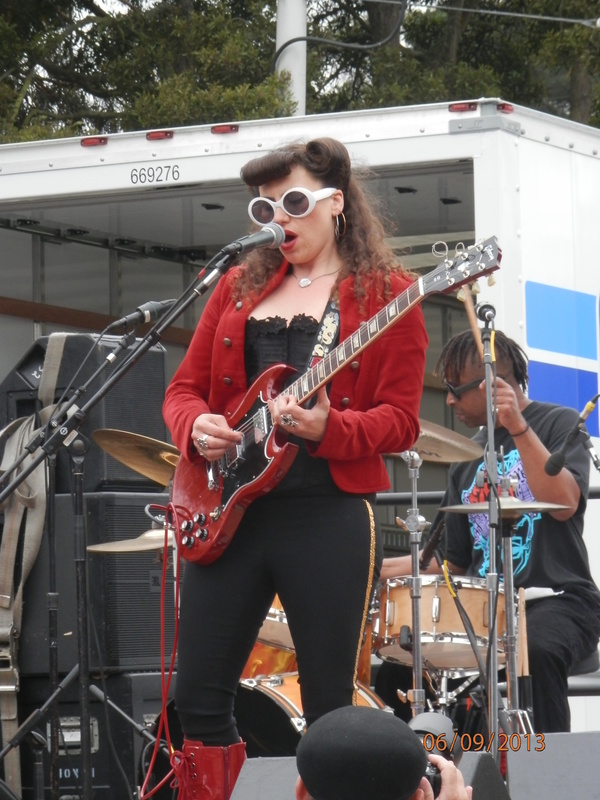 Baby and the Luvies (above), winners of the Battle of the Bands competition that had predated the fair, rocked the Stanyan stage, but it was, understandably, the headline act, San Francisco based Pamela Parker (below) and her band who really got the crowd going. The only disappointing aspect of the day was the weather. Sunny intervals had been forecast for the afternoon, but the entire event took place under grey skies and in a fine mizzle. But it did nothing to lessen people’s spirits. It seems any day we are in San Francisco, we are touched by the Giants, even when we had not intended to be. Resolving to warm up with a hot chocolate on our return to the apartment we stopped at the Squat and Gobble on Fillmore just as Sergio Romo was closing out a 6-2 victory over the Arizona Diamondbacks in Phoenix to win the series. Icing on the funnel cake!